It is finally summer in my neck of the woods, and that means strawberry season is upon us. There are few things in this life that make me as happy as strawberry season in the summertime. For me, that's what life is all about—enjoying farm fresh, simple and seasonally appropriate foods with the people you love. 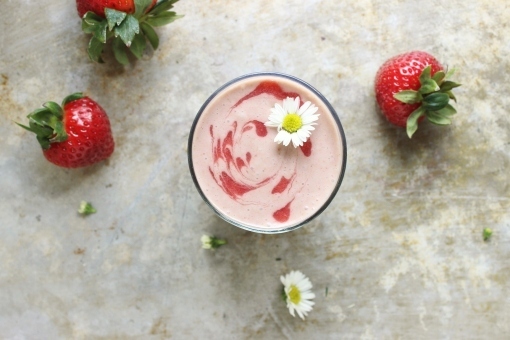 This Strawberry Swirl Superfood Smoothie is like summer in a glass. I've combined strawberries and bananas with coconut milk, hemp seeds (these pack tons of plant-empowered protein plus healthy fats), and a handful of purifying greens (reach for lighter greens like romaine hearts or green leaf lettuce to keep it nice and pink). This smoothie is super well-balanced, good enough for breakfast or an afternoon snack, and yummy enough for dessert or evening treat. Directions: Combine all the smoothie ingredients in your Blendtec and blend until smooth. Rinse out your Blendtec, then blend your swirl ingredients until smooth. 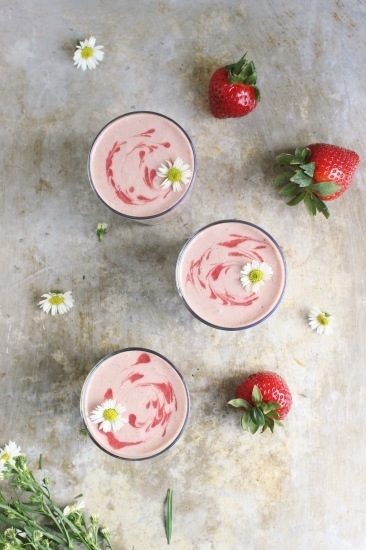 Decorate the tops of your smoothie with strawberry swirls and serve right away. Enjoy!